Yesterday was my day! What a great beginning of the week. My pattern is published on the site Sew Mama Sew. You could download the free pattern Sheep by night. Here is the finished block. 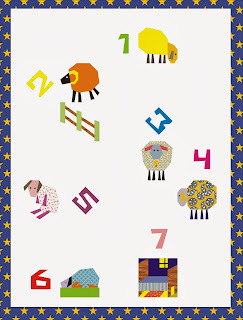 And don't forget to visit my older post with idea for a quilt Counting sheep. Last Friday was my happiest day in the passing week. I have to sew gifts for friends from South Africa. Two have their initials and other have hearts. 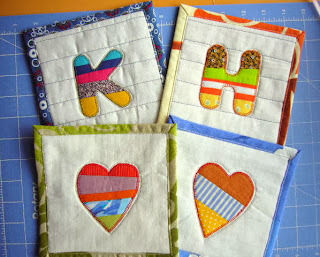 They are 6 inches square and easy to sew. I have took pictures during the sewing - scroll down to see detailed tutorial. I began cutting front and back fabrics and when switch the iron on the lamp is not shining. Damn it! It is not working because of Friday afternoon. Switch the machine on. The same problem occurred. It was good that I have a working iron, but my tasks still stayed. How much we are connected to electricity ! Then my old SINGER helped me! Thank you my faithful friend. One hour later my whole equipment worked. I finished all four coasters. But my biggest joy is my "new" extension table. My brother made it for me from old furniture. It is big enough - 20 inches square. What a fun-tastic table I have! Anyone could envy me. Cut 6" square fabric for the front and 6" fusible batting. Cut 8" square for the back. Iron batting on the wrong side of the front. I will applique a letter, so the most suitable quilting are rows. I have lines on the batting , so use them for stitching. If you haven't draw them on the front fabric. Iron the seam allowances open to have a flat surface. Iron double fusible web on the wrong side, trace a letter and cut. Peel the paper and place on the top. Use zig zag or satin stitch round the letter. Place the back fabric right side down , then so prepared top and pin. Stitch round the letter to fasten three layers. Binding using back fabric. See my tutorial here. Serve a cup of coffee or tea, please. 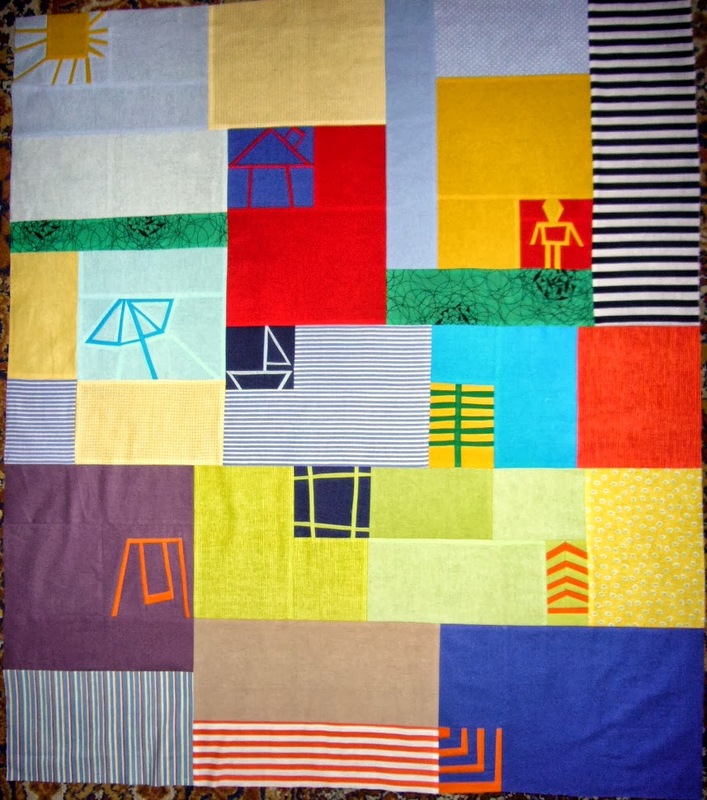 Well I have had two beautiful days of thinking how to quilt the baby quilt with kid's drawing. The idea is that final look has drawings, too. 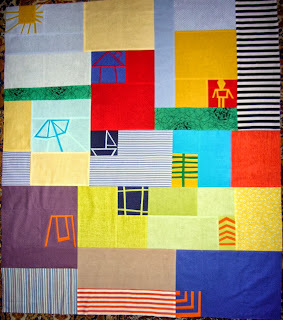 With a little help of Leah Day 's wonderful site I collected many ideas and finished the whole quilt. Today we have a little sunshine and I took some pictures. As I have changed the bobbin's threads it turned out very colorful. A second picture, indeed. P.S. The finished size is 40 x 45 inches. You are tired, stressed or have difficulties falling asleep. 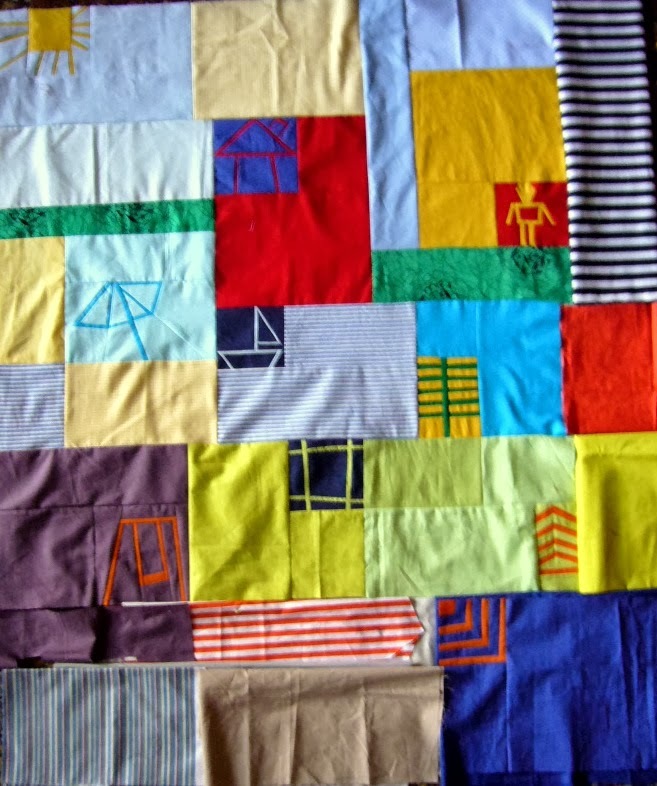 Imagine this is a quilt laying on your lap.Have a short nap or sleep the whole night and dream. This is a simple combination of sheep patterns, number pack pattern and my newest paper pieced pattern The BED. 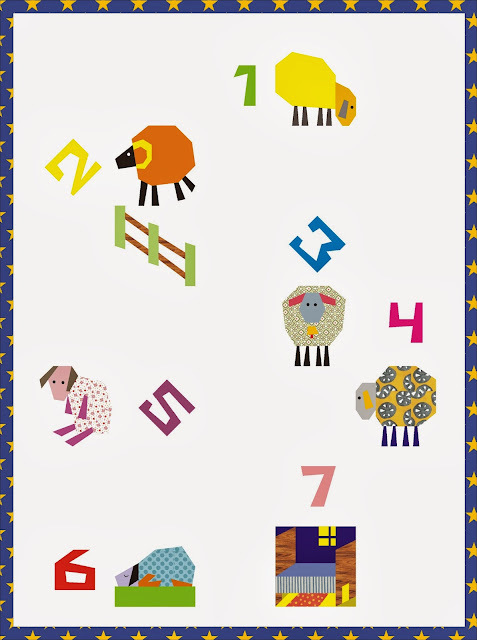 The Fence paper pieced block is FREE. You could download from CRAFTSY or from my free patterns HERE. The idea is sewing background of each sheep the same color as the top of the quilt. The sheep are , but you can change the size using included percentage table. 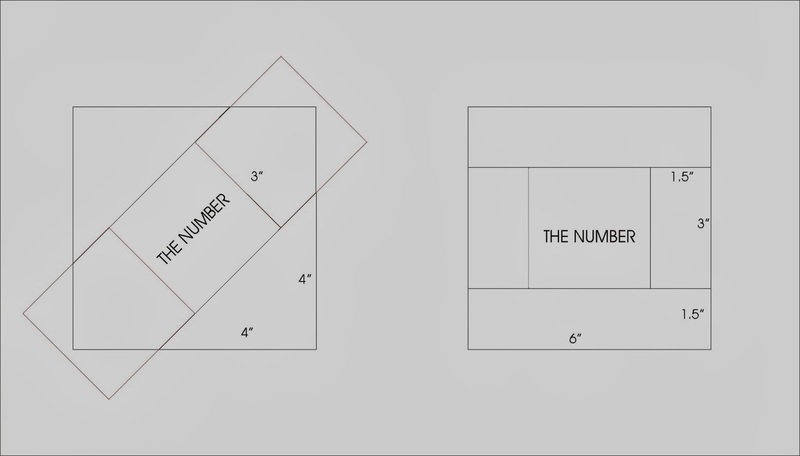 The numbers are 3 inch squares, some of them rotated 45 degrees. Add two 3" squares, two 4" isosceles triangles and trim to have 6 inch squares and sew easy next to the sheep. Add 1,5" strips to have 6 inch squares and sew easy next to the sheep. 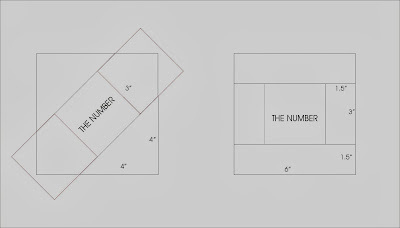 Collect all the blocks, add batting and backing, bind you preferred way. Do you think that bell of the third sheep is ringing too loud? Don't worry . This pattern has two version - with or without bell. It is up to you. I have no time to write posts here lately. 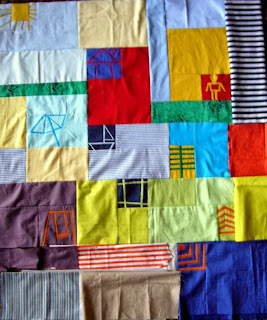 I discover amazing world of kids drawing and began thinking how to make something using them - mug rug or even a quilt. At the beginning I made some blocks with primitive shapes - house, boat, tree. I used a very tiny stripes - 3/4 inches and insert them into a solid fabric. I like the first result and made sun, beach umbrella, boy, another tree, swing and collect them in a top. After some little changes the final look turned out very cute. Add batting and backing and the day was over. Wait soon for the quilting results.